UPDATE: Additional details about Jussie Smollett's Tuesday morning hate crime attack are coming to light. According to TMZ, Smollett told the police in an interview that his assailants yelled "MAGA country" during the attack. The Chicago Police Department confirmed this information and told E! News in a statement, "In the initial reports there was no mention of MAGA. 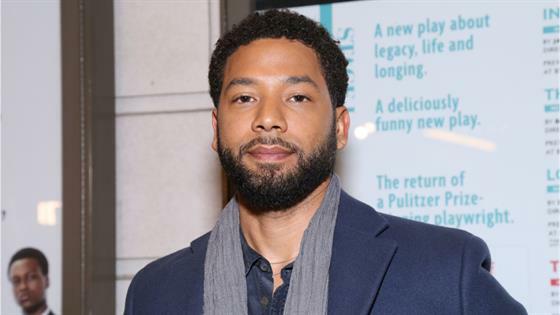 When detectives followed up with [Smollett] later in the day, he recalled the offenders making those comments and detectives completed a supplemental report." During the attack, one of the offenders wrapped a rope around Smollett's neck. The offenders later fled the scene and Smollett was self-transported to Northwestern Hospital and he is said to currently be in good condition. "Overnight, the Chicago Police Department received a report of a possible racially-charged assault and battery involving a cast member of the television show Empire," CPD Chief Spokesman Anthony Gugliemi tells E! News. "Given the severity of the allegations, we are taking this investigation very seriously and treating it as a possible hate crime. Detectives are currently working to gather video, identify potential witnesses and establish an investigative timeline." The statement continues, "The victim is fully cooperating with investigators and we ask anyone with information about this incident to contact Area Central Detectives at 312-747-8382 or report it anonymously to www.cpdtip.com." "We are deeply saddened and outraged to learn that a member of our EMPIRE family, Jussie Smollett, was viciously attacked last night," 20th Century FOX Television and FOX Entertainment tells E! News in a statement. "We send our love to Jussie, who is resilient and strong, and we will work with law enforcement to bring these perpetrators to justice. The entire studio, network and production stands united in the face of any despicable act of violence and hate — and especially against one of our own." Smollett posted video to Instagram Story late Monday, showing him taking off from LaGuardia Airport. After a long travel day, the 35-year-old actor shared a smiling photo of himself to Instagram with the caption, "#Mood after spending 7 hours on a plane for a 2 hour flight but finally landing all good. Love y'all. Goodnight #WinterVortexIsHurr #ChicagoWeatherAintNoJoke #Smile #troubadourFeb2 #Freedom."